In Central Australia the Department of Education have been scanning and listing Kaytetye, Anmatyerr, Alyawarr, and Northern Arrernte books. 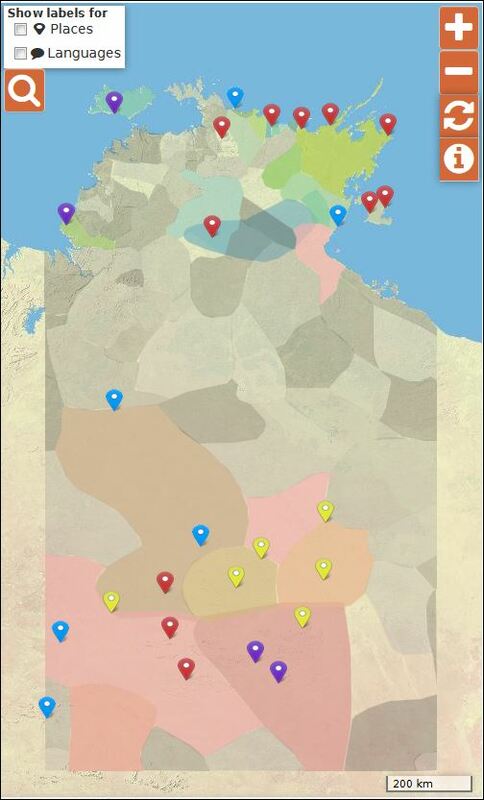 This year I have visited eleven communities to showcase the Living Archive website and work with Indigenous staff to use the website in the classrooms. We have found it really helpful to put the books on the interactive white boards so the whole class can see the book and words clearly. This project has been a good chance to ensure translations are correct and to translate some local traditional stories which were only in one language. There was a traditional story from Ampilatwatja which was written only in English, and the community asked us to to work with an elder in town (Eileen Bonney) to translate it into Alyawarr. It will be great to have this story in both languages to use in the school and community when it is accessible through the Living Archive. The school language programs which have never had bilingual funding really appreciate the digitization of their books as they don’t have very many books since they haven’t had extra staffing and funding for Literature Production Centres. Here are a few stories of how we have been working in schools. At Harts Range we identified a number of resources to be uploaded and received permission for all their Northern Arrernte books to be uploaded to the archive. At Tara Schools we found thirteen Kaytetye books in the school and realised that six traditional stories have gone missing over the last few years. This is causing concern as it’s a highly endangered language. This entry was posted in Activities and tagged Alyawarr, Anmatyerr, Arrernte, Central Australia, Dept Education, engagement, Kaytetye on May 23, 2014 by Cathy Bow.